I’ve spent a lot of time talking about Facebook, and how to make your Facebook Account more secure. You should be doing the same thing with your Instagram account! 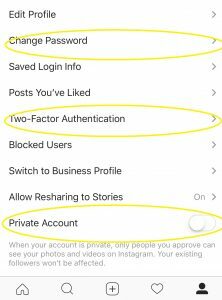 Here are some suggestions to make your Instagram account more secure. First – Change Your Password! 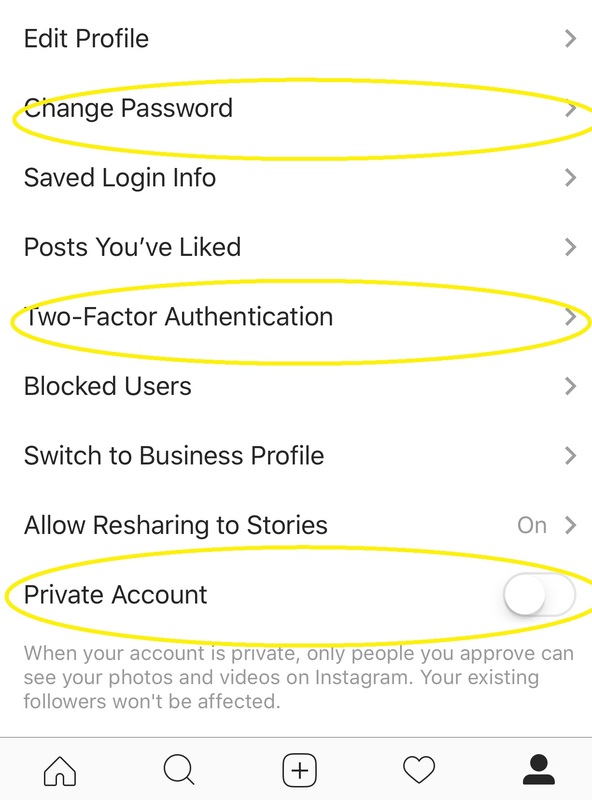 From Instagram: “When your account is private, only people you approve can see your photos and videos on Instagram. Your existing followers won’t be affected.” Essentially this means that your account will be shared with friends only. If your Instagram Account is not set to Private, every post can be viewed by anyone. So, for my personal account, I have it set to private. For my business account, it is all public. Remember, if you choose to un-follow someone, they will no longer be able to see your posts or other information. Two-factor authentication makes any account that you log into more secure. Many banks require two-factor authentication. When you enable 2FA on your Instagram Account, Instagram will send you a code to you via text or email that you will need to enter in order to access your account. Generally, once you have logged into your account from a specific device, you won’t need to do the 2FA thing again, unless you log out. What did I forget? How do you keep your Instagram Account as secure as it can be? It seems like recently all I’ve done is advised people to change their passwords. Friends have had their Messenger hacked, other friends are sending out spam emails. Here’s the official Geek For Hire word on the subject: You Can’t Change Your Passwords Too Frequently! So, the big question is – how do you pick a good password? We have several tips to follow here. “The Quick brown fox jumped over the lazy dog” or tqbfjotld which is nine characters. The next tip is use letters, numbers, and special characters. A study done a few years ago estimated that a password with six alphanumeric characters would take a computer 103 years to crack. Eight characters, including special characters like “@”, “%”, and “#”, would make it that much harder, and take much longer, to crack. My recommendation for a good password? Longer is always better. If the website allows you to use more than eight characters, please do! Play with different passwords that will work for you and keep them in a password protected document on your computer or in the “cloud”. Another trick I use is to type the new password into my (password protected) document, then I’ll copy and paste it into the password field of the website I am accessing. That way I’ll be sure not to have any typos. 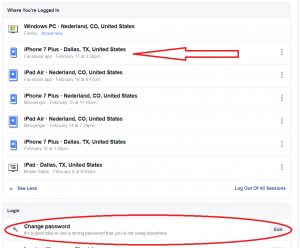 Facebook Account – Has Yours Been Hacked? I read an article recently about how to find out if someone in a different location was logged into your Facebook account. 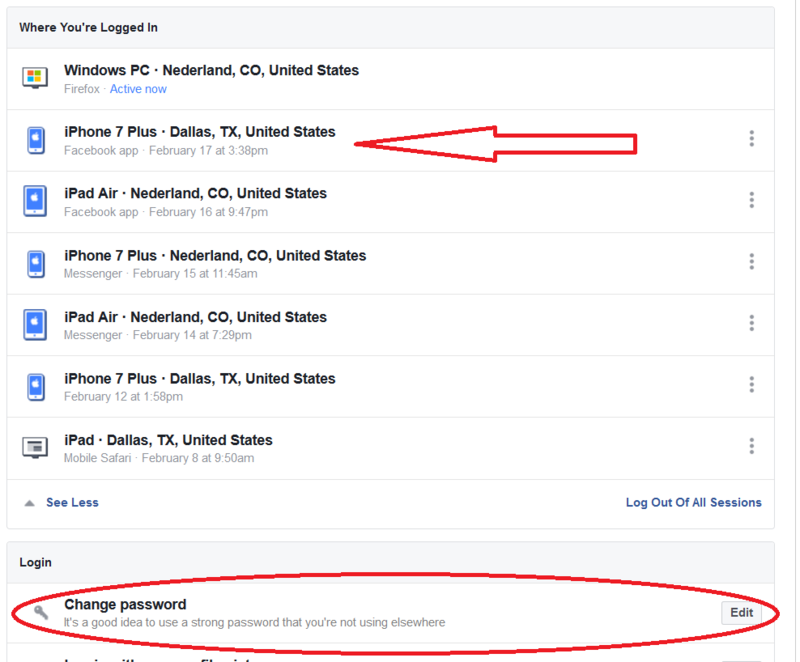 I followed the steps and saw that someone in Dallas was logged into my account! Whoa! I logged out of the devices in those locations pretty quickly. There are several steps to follow to see if someone has hacked into your Facebook account. The first thing you want to do is to determine if you are logged into your Facebook account from odd locations. To check this, click on “Settings” and then on “Security and Login”. That screen will tell you all the places (and devices) that you are logged in. If something seems odd, then log out of that location. Check your birthday and email to make sure they haven’t been changed. If they have been changed, change them back and then immediately. Also, has anyone told you they received a second friend request from you? Or are there messages that have been sent, but not sent by you? Again, this is a good time to change your password and notify your friends not to open a recent private message from you. You should also notify Facebook that your account may be compromised. Now is a good time to change your password as well. It’s on the same screen as “Security and Login”. Click on “Change Password”, and choose a secure one! Here are some tips for creating a strong password. Bump up your security settings. Ask Facebook to send you an alert when someone tries to log into your account. Now is also a good time to set up Two-Factor Authentication. You can access both of those settings from the same “Security and Login” screen. If this info was helpful, please forward it to your friends! More and more people are starting small at-home businesses to share their passion with others or simply to supplement their regular income. The newest term for this is “side-hustle”. One problem is needing space to work without taking over too much of your dining room, or bedroom, or the coffee table in the living room! A solution many people use is to head to a coffee shop. But that doesn’t always fit the bill. It’s sometimes noisy with conversation, or (gasp!) coffee grinding. The WiFi may be choppy, or you may only be allowed to use it for a defined period of time. Another option is to find a co-working space. A co-working space provides a place to work outside of your home. It generally is quiet, plenty of desk space, and good WiFi. They may even offer access to a printer, coffee, and snacks. I recently joined a co-working space and I am thrilled. Sure, I have a separate office at home, but sometimes my office space is not conducive to the work I have to do. I noticed a year or so ago, that for certain tasks I was more productive outside of my home office. But the nearby coffee shops just were not cutting it for me. When I heard about a local co-working space, I checked it out and signed up that day. 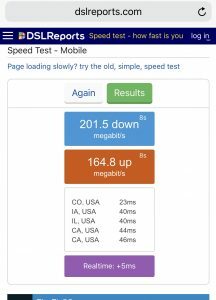 Is the WiFi fast and consistent? Ask them what kind technology they use and what their bandwidth is. (Bandwidth = how many people can use the WiFi at the same time without noticing a slowdown.) 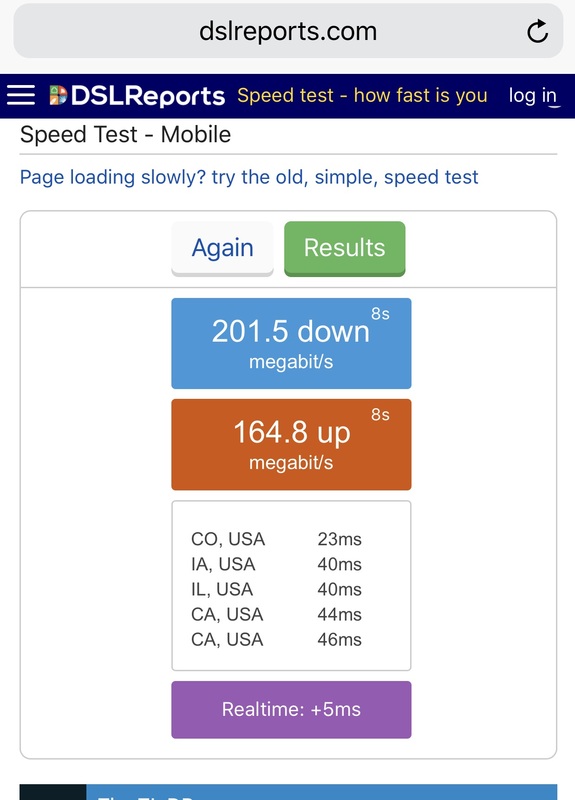 Mine has a T1 installed so it is super-fast, and even if the space is full, not likely to run into slowdowns. Do they have a printer available for you to use? What is the charge per page? Or are there a certain number of pages you can print for free? Is it color or black & white? Front & back, or one side only? Is it clean? Is there natural light? (Mine has plenty of windows, but all on the north side of the building. I don’t expect it to get too hot in the summer.) Is there a choice of places to work? For example, regular desks, standing desks, counter areas, etc. Everyone works best in different configurations! If you do use a chair, are they comfortable and supportive? Is there coffee available? Is it good coffee?! Tea? Other snacks? Are the owners or managers conscious of the environment? Does the space use alternative energy – solar or wind? At a minimum, is there a place to recycle paper? If they have beverages available, what kind of cups do they provide? Styrofoam? Compostable? Mugs and glasses? What kinds of amenities are important in your co-working space?